Over the last decade the profile of wilderness has risen steadily within the European conservation agenda. Growing popular support was strikingly reflected in a 2009 resolution from the European Parliament passed by an overwhelming majority of 519 votes that called for improved protection and recognition of wilderness. Five years later this mandate still resonates. Recognizing this momentum, the European Commission published in August 2013 a set of guidelines on management of wild and wilderness areas in the Natura 2000 network (European Commission 2013). Covering 18% of Europe’s terrestrial area, this network is now the largest coordinated set of protected areas in the world. 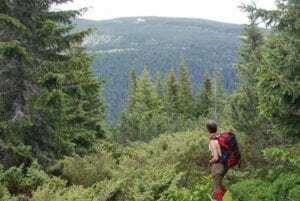 The guidelines were campaigned for through a petition signed by approximately 130 nongovernmental organizations – the first time such a united position on wilderness had been adopted by conservationists and allied interests in Europe. The guidelines provide a useful set of recommendations on how, where, and under which circumstances nonintervention management may be applied within Natura 2000 areas. Implementation of the European Commission Guidelines is not mandatory, in line with a current lack of support in Europe for any new conservation legislation. However, critically, for the first time the guidelines bring official European Commission recognition to the concept of nonintervention as having major biodiversity value. The focus is on an ecosystem approach governed by natural processes rather than intervention management aimed at individual species, which has traditionally characterized so many conservation endeavors. A wilderness is an area governed by natural processes. It is composed of native habitats and species, and large enough for the effective ecological processes. It is unmodified or only slightly modified and without intrusive or extractive human activity, settlements, infrastructure or visual disturbance. • More effective use of legislative capacity already existing within the Natura 2000 network to protect wilderness and linkages with local laws. • Using wilderness to support the wider conservation agenda, realizing its economic, social, and cultural potential alongside its intrinsic, biodiversity, and ecosystem service benefits. • Identifying best practice in nonintervention management, including circumstances where nonintervention may be less appropriate, such as where individual species require active management, or in productive “cultural” landscapes (commercial agriculture or forestry). Further promotional work and outreach efforts are required for the Guidelines to have maximum impact, particularly at the field level. They are, rather slowly, being translated into other languages, beginning with German and French. Their principles also need to be effectively extended to countries outside the European Union, which harbor some of the best expanses of wilderness (e.g., Belarus, Ukraine, the Caucasus, and of course Russia). And there are many relevant areas within the European Union not covered by the Natura 2000 network. Closer ties are also needed with landowning, forestry, hunting, and farming interests. Their concerns need to be properly addressed, incentives more fully developed, and wherever possible wider common ground identified for joint partnerships. Figure 1 – Retezat National Park in the Southern Carpathians in the “green heart” of Europe. Implementation of the European Commission Guidelines represents part of a broader program to advance the wilderness and wild area agenda in Europe. To have secured this level of official endorsement is by itself of considerable value. As with other endeavors to make our highly developed and populous continent a wilder place, it hopefully sends a useful global message to countries with much larger and more pristine areas of nature whose fate hangs increasingly in the balance. European Commission. 2013. Guidelines on Wilderness in Natura 2000: Management of Terrestrial Wilderness and Wild Areas within the Natura 2000 Network. Technical Report 2013-069. Retrieved from http://ec.europa.eu/environment/nature/natura2000/wilderness/pdf/Wilderness-Guidelines.pdf. Wild Europe. 2016. The importance of practical definitions. Retrieved from http://www. wildeurope.org/index.pho/wild-areas/definitions. TOBY AYKROYD works for Wild Europe, UK; email: tobyaykroyd@btconnect.com.